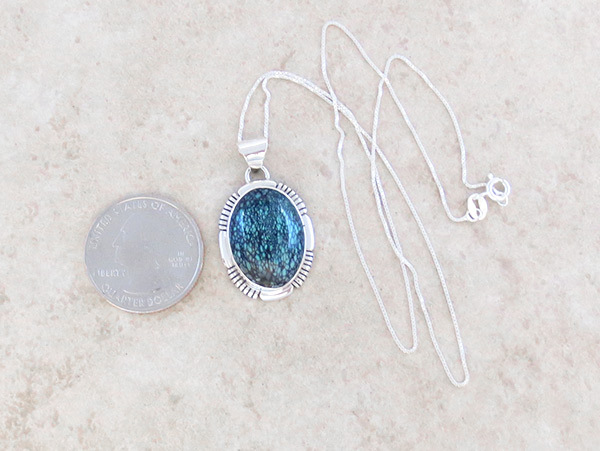 This beautiful pendant was created by Navajo artist Jerold Fransisco. 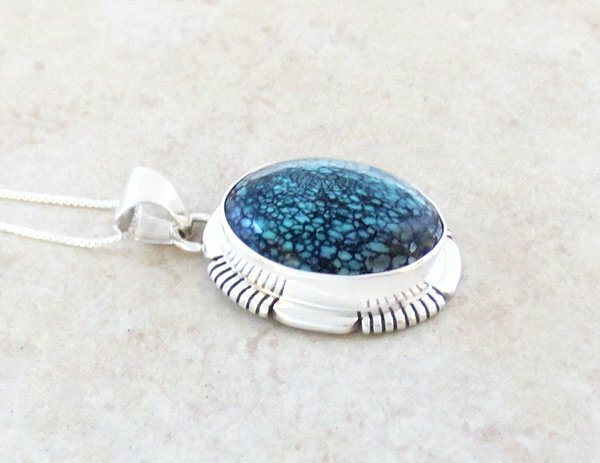 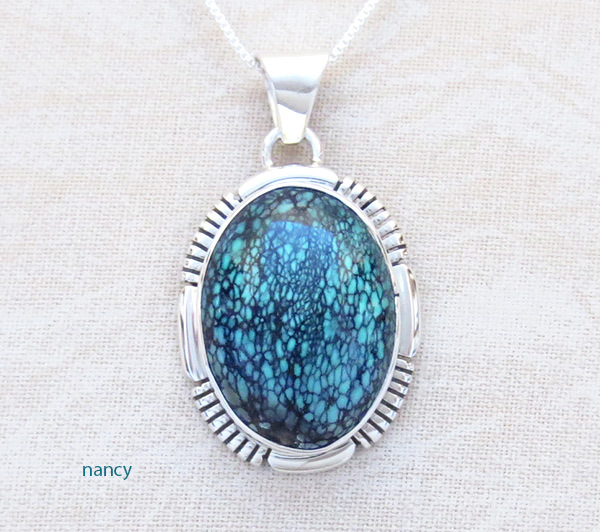 The Chinese turquoise stone is a teal blue with a tight black spiderwebbed matrix. 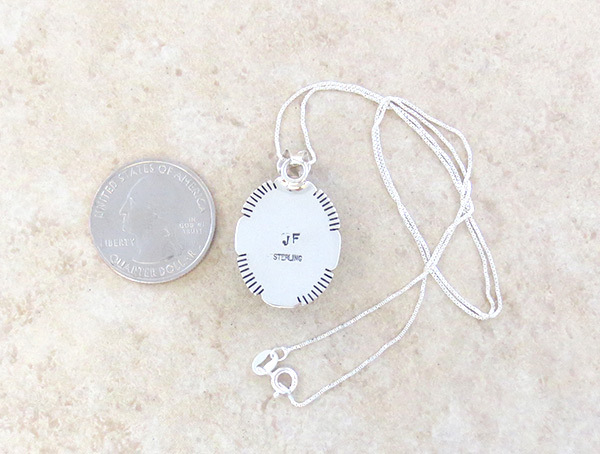 It's marked sterling and signed JF..
Pendant weight: 6 grams on my scale.